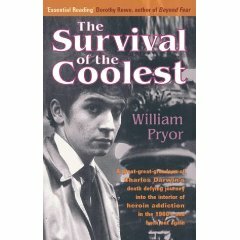 Although there is not much written about Cane Hill, several books feature it to various degrees. 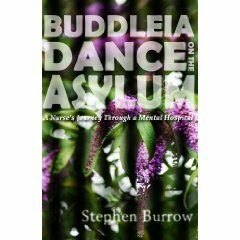 Buddleia Dance on the Asylum is Stephen Burrow’s excellent account of his time working in the 1970s as a Porter, and later as a nurse. It features comment on the community of the hospital and the idiosyncracies of the institution, as well as experience of interactions with many staff members and patients. Published in 2010, this is most detailed account of Cane Hill available to date. patients and the attitudes within the hospital towards those undertaking treatment for drug addiction. 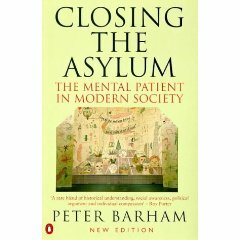 Closing the Asylum is Peter Barham’s interpretation of the period leading up to the closure of the asylums. It is based mainly around London and mentions Cane Hill several times. It is also a valuable resource for those interested in the early days of Care in the Community. The Cult of Cane Hill by Simon Cornwell is an excellent resource, featuring photographs from around the hospital, as well as extensive comment on it’s design and features, as well as the life the hospital took when it closed it’s doors. This is the best Cane Hill website available, and is set to grow in the future. The Urbex Uk section of the site lists visits to other mental hospitals and derelict buildings, accompanied by photographs and comment. Mechanised‘s account of Cane Hill features photographs from around the hospital and comment on it’s dereliction and the relationship forged with the buildings during his visits. A second account on the website expands on the thoughts presented in the first. There are also accounts of visits to several other derelict medical institutions, which may be of interest. One of my favourites. Abandoned Britain by Joe Collier features a photographic account of visits to the hospital during it’s dereliction. There are photographs from across the site, listed as several themes. In addition, there are photographs of several other institutions. Canehill.org.uk is the regeneration site for Cane Hill. This is the best place to go to find information about the future of the site. It is run by the Homes and Communities Agency, who own the site and are responsible for it’s regeneration. Subscribe to comments with RSS or TrackBack to '5 – Further Reading'. just finished reading Buddleia Dance on the asylum – really interesting book. It helped me understand some of the ways in which the staff acted when I was a patient there. Certainly the element of fear from staff that patients could get out of control if staff didn’t clamp down on any behaviour that they considered insubordinate. 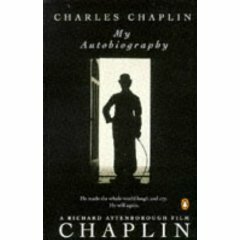 I remember asking a nurse why he was trying to make things so “****ing” difficult for me – I was newly admitted and it was the only occasion on which I swore. I was astonished when a week later this was brought up by the consultant psychiatrist on ward round as an example of my unacceptable behaviour! Just nearing the end of ‘Buddleia Dance on the Asylum’ fantastic reading! Does anyone know the contact email for this website owner>> Please help me. Where can I purchase the book Buddleia dance on the Asylum please? The Museum of Croydon recommend this book: ‘Cane Hill Hospital: The Tower on the Hill’ by Pam Buttrey, Aubrey Warsash Publishing, 2010. It is available on inter-library loan from any public library.